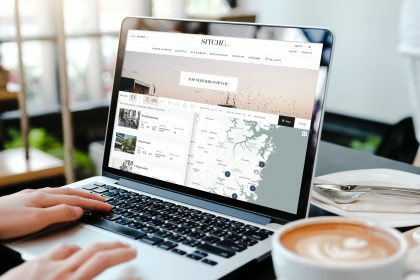 Tomaszewski said: “Sitchu is a hyperlocal site for people looking to visit, live or buy in Australia’s most sought-after suburbs, and combines content about the best places to live, shop, eat, drink, stay and play, nationally. The suburb search tool allows users to select whether they want to live near cafés, the water, bars, shops, schools, parks, etc. ; who they want to live with; partner, friends, family or on their own, and what their budget is. It then provides them with a broad range of suburbs that match that criteria. Tomaszewski continued: “Once they have selected their chosen suburb, the tool provides a complete suburb guide to that area, drilling down into what it’s like to live there, what the neighbours are like, core location attributes, the best places to visit and the top things to see and do. “The tool is unique because it empowers people to discover and build their ideal lifestyle based on their interests and helps them to intricately understand a suburb before they move in. Perks said: “The tool allows people to find their perfect suburb, so it made sense to allow them to also discover homes to buy and rent in that location. Perks added: “This morning we hosted an intimate event at Sydney’s Hacienda to officially launch the Living Pillar and suburb search tool with a live Q&A from a panel of experts within the interiors and home design industry including Tash Sefton, Poppy O’Neil, Deborah Bibby and Jillian Dinkel.